Multi colored swirly tye dye with Peace signs, Hearts, Flowers. 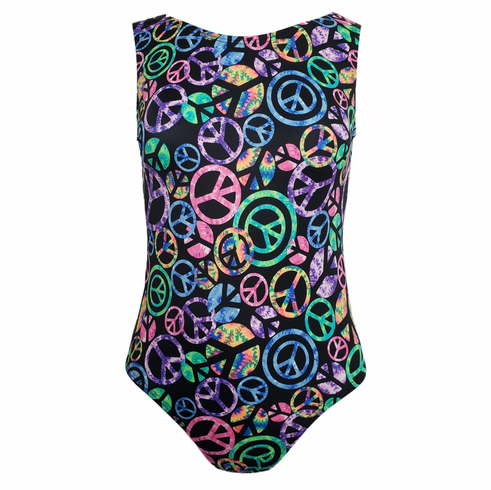 This groovy gymnastics leotard can also be used for tumbling, cheer, and dance. Pair with matching shorts in the same fabric or order separately any color. Leotard City recommends hot pink, turquoise, or black spandex. Don't forget to add a matching scrunchie!